Why a Featured Hotel? 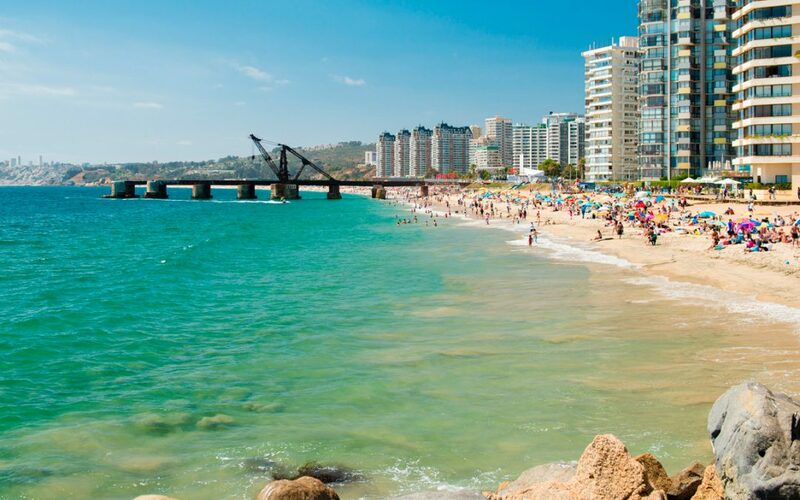 : We view this hotel to offer a unique combination of high-level comfort, great food, educated guides, incredible views from rooms and common areas, and an overall sensation that when you are here you are somewhere special. 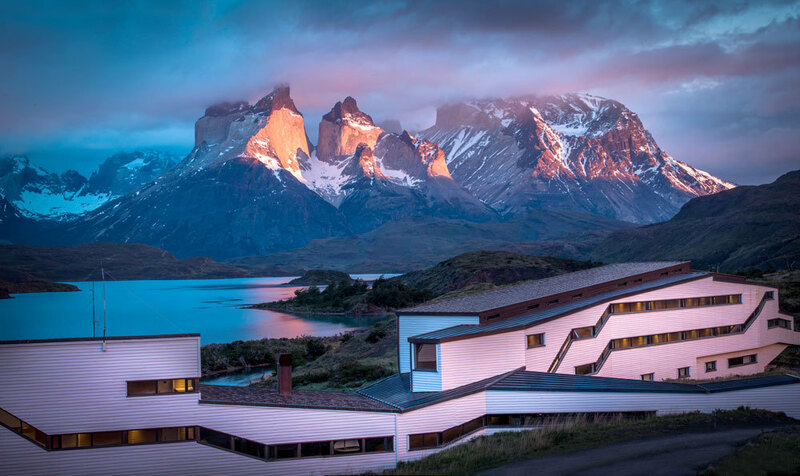 This hotel has the best location within the boundaries of Torres del Paine with exceptional views from the bedrooms on the cordillera Paine side. The modern white exterior of the square-edged, block-like appearance of the hotel betrays what is inside. 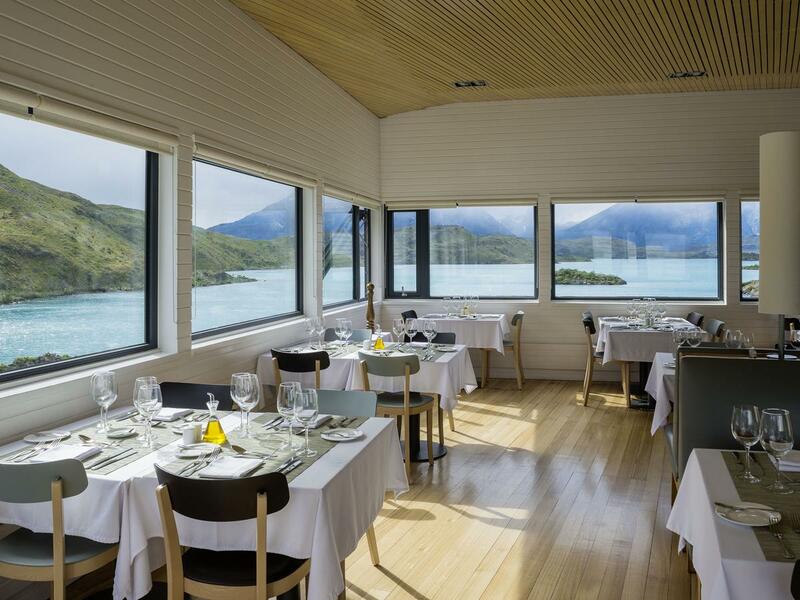 The Salto Chico Hotel is the “pioneer” hotel that started the new concept of luxury accommodation with all food (good food), services and facilities included in the cost that has snce been emulated by other luxury lodges throughout Chile. It occupies an enviable location in TDP with stunning views from each bedroom (on the cordillera side), restaurant and lounge areas over Lake Pehoe and the massive Cuernos (meaning horns) de Paine at the end. Cosy rooms with sufficient space to not be cramped, bathrooms of reasonable size, nicely finished and decorated, also with viewing windows from which you can admire the TDP Massiff whilst attending to natures call! The total wood interior finish inside the hotel, polished floorboards, soft lighting in rooms and lots of natural light combine to create a welcoming ambience. This is a top quality lodge from where to enjoy adventures within TDP. Educated guides and services that include a presentation theatre for educational talks on locally-related subjects, a first class spa and interior pool swimming lane, outdoor Jacuzzis (and one indoor), saunas dry and wet. In a central spot beside a small waterfall (salto chico) on the banks of Lake Pehoe, essentially in the middle of Torres del Paine National Park. The actual building is hidden from most viewing angles so cannot be seen from the “outside” unless you are on the lake. 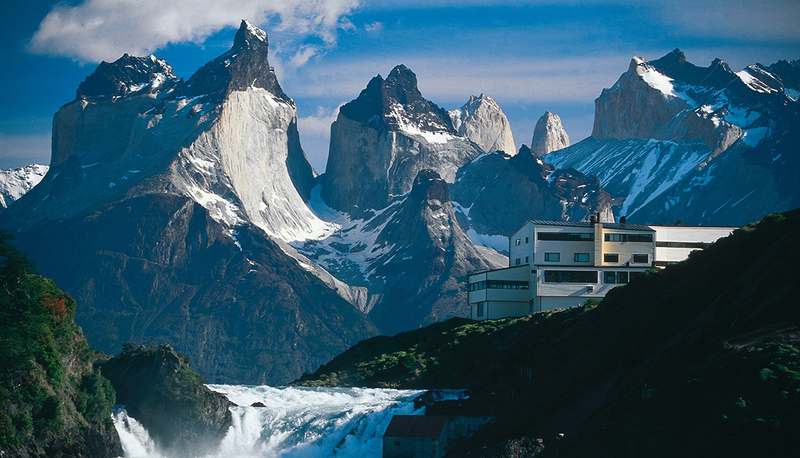 As mentioned above the position of this hotel enables unrivalled views to the iconic spectacle of the Cuernos of Paine – the Torres del Paine Massif. This offer is in addition to any offer the hotel has. Hotel night in a hotel in any other city in Argentina or Chile (up to nightly room value of USD200 per person). Based upon 2 people in a room with matrimonial or twin beds. Transfer in or out El Calafate if not included by the hotel. escorted activities with educated guides.